At the age of 19 Kent Anderson joined the Merchant Marines and traveled the world for two years. By his 23 birthday, he was a Special Forces sergeant in Vietnam, where he was awarded two bronze stars. 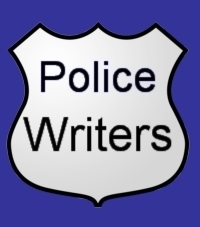 In 1973, he joined the Portland Police Bureau, and worked as a street cop for 4 years before taking a leave of absence to earn an MFA in Fiction Writing from the University of Montana in Missoula. At the age of 37, he returned to police work and joined the Oakland Police Department (California). After two years on the Oakland Police Department he resigned because he was, “sick of making unnecessary arrests to fill out the monthly quotas. According to Kent Anderson, “that winter, broke and jobless, out of sheer terror” he wrote the first complete draft of Sympathy for the Devil. Shortly thereafter, he obtained a teaching job in El Paso at the University of Texas and rewrote the book several times during his four-year stay on the border. He is also the author of Night Dogs and Liquor, Guns and Ammo: The Collected Short Fiction and Non-Fiction of Kent Anderson. According to the book description of Night Dogs, “The North Precinct of Portland, Oregon, is home to two kinds of cops: sergeants and lieutenants who've screwed up somewhere else, and patrolmen who thrive on the action on the Avenue. Officer Hanson is the second kind, a veteran who has traded his Bronze Star for a badge. War is what Hanson knows, and in this battle for Portland's meanest streets, he's fighting not so much for the law as for his own code of justice.